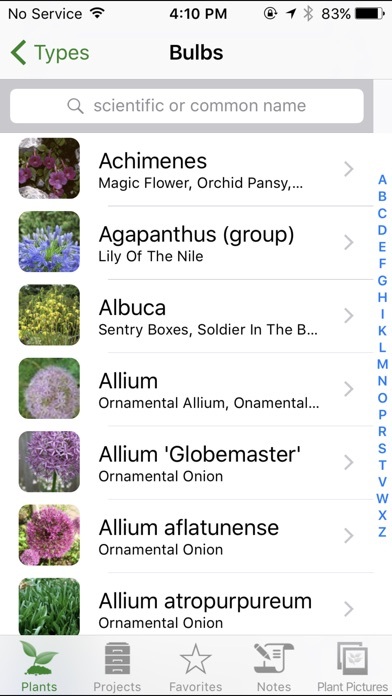 The most comprehensive plant guide on iPhone! Enjoyed by thousands of gardeners and landscape professionals world-wide, Landscaper's Companion is the #1 reference guide to all plants including trees, shrubs, annuals, and perennials. Containing information on over 26,000 plants and 21,000 pictures, Landscaper's Companion makes an excellent resource for the casual gardener, professional landscaper, aspiring botanist, or anyone looking for a simple, easy to use plant guide. Landscaper's Companion has been highly rated: * "Top 25 Reference App" in USA - March 2012 * "Top 10 Reference App" in Canada - April 2010 * "What's Hot" app in the UK Store - April 2010 * Featured on the UK app store front page - March 2010 "The search feature is nicely designed. You can enter 'cucurbita pepo' or 'zucchini' or 'summer squash' and the software will find the same vegetable." - Bob Tedeschi, New York Times "Landscaper's Companion comes out ahead due to it's rich search features, custom offline content and nurturing instructions." - Brodie Beta, The Globe and Mail "Just wanted to let u know this app is great. I have been looking for something like this for a while." 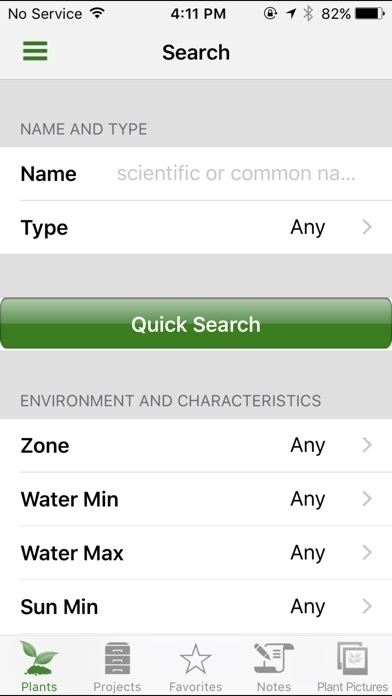 - Daren, Deerwood Landscapes "Gardeners who want a content-heavy app need to look no further than the Landscaper's Companion, which houses a large collection of data that spans 17 categories of plants" - Lauren Fairbanks, SheKnows.com "Your app is great!!! As someone who works as a landscaper and nursery retailer/buyer this is most helpful for my customers." - Jessica, NM Reference Guide Features: ▪ Plant Database with over 26,000 plants in 17 categories covering North America, the United Kingdom, and Australia ▪ General plant information such as USDA zone, sun exposure, water usage, growth rate, bloom times, deer resistance, and mature height and width ▪ Over 21,000 high quality images from around the web ▪ Extensive Search Capabilities: search for plants by Common or Scientific Name, Sun Exposure, USDA Zone, Water requirements, Color, Bloom Time, Deer Resistance, Height, and Width ▪ Email Detailed Plant Information ▪ Keep a List of Your Favorite Plants and Email the List Not only is Landscaper's Companion a great reference guide to plants, the Pro upgrade also makes a great tool for professional landscapers or serious gardeners. Pro upgrade features: ▪ Manage Multiple Plant Lists with Projects ▪ Add Your Own Plants ▪ Add Your Own Plant Pictures ▪ Keep Notes on Your Plants or Garden Please note: the Pro upgrade is a separate purchase within the app. Still more questions? No problem. Here's more information: The 26,000 plants are spread throughout these 17 categories: 1) Annuals 2) Bulbs 3) Cacti 4) Conifers 5) Flowering and Fruit Trees 6) Ground Covers 7) Herbs 8) House Plants 9) Ornamental Grasses 10) Palms 11) Perennials 12) Roses 13) Shade Trees 14) Shrubs 15) Vegetables, Fruits, Berries 16) Water Plants 17) Ferns Sorry - we don't have any tropicals or orchids at this time. 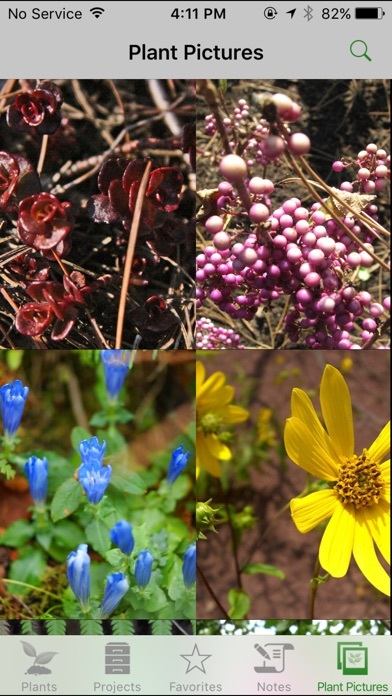 Browse over 26,000 different plants by their scientific name and common names. 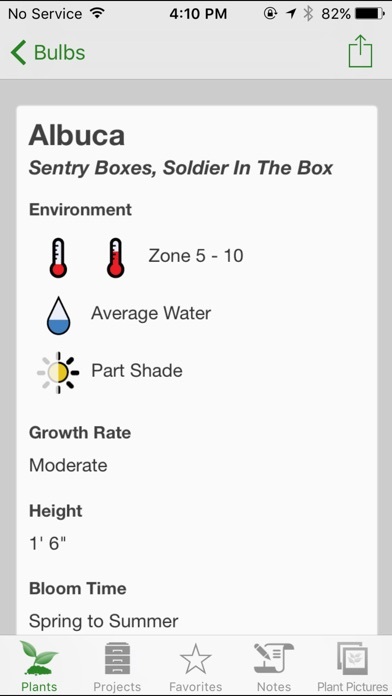 View information such as water usage, size, and sun requirements. Most have a short description of the plant along with cultivation information, common uses, and any problems they may have. Most plants include beautiful pictures. Additional plants and images are added periodically for FREE! Like us on Facebook (http://www.facebook.com/landscaperscompanion) and follow us on Twitter at @landscaperscomp Please take a moment to leave a review with your positive feedback as well as constructive criticism. Please note: we're unable to respond to your comments directly - please email support@landscaperscompanion.com if you have problems with the app. Please Note: Internet access is required to download plant images. downloaded pictures for 2 hours for offline use would not work! Large database. Enough information for buying. Good filters for searching. Emails are ignored. Don't Buy! Help. This app stole my money. It says there is a new version available. ¿?¿? Update- No response to my problem via email, so, or addressed here so gave one star and deleted. Can't figure out how to edit an entry on "My Plants" feature. I like it except for this and lack of response from developer. Will up rating when/if my issue is resolved. Unbelievably, you can't log in to your account from a new device and retrieve your notes, projects, photos. I used this religiously for a year, upgraded my phone, and everything's irretrievable. There's a big market for a reliable gardening app designed similarly to this app, but this app isn't it. Bought this because it said you could upload your pix and take notes on them. That feature is only in the pro version which costs another $5. I bought it and still don't see how I can upload them. The catalog doesn't include my plants so I have to enter all the info. Been working with this for 30 mins and I think I will give up. I have found several flower images in this app that are completely wrong! Example- "bachelor button"(coneflower) showed image of a daffodil! I'm a professional gardener and enjoy this app a lot. There are some glitches that need to be fixed, like repeat plants and it would be nice to have more detailed info on a lot of them. But I upgraded and love that I can add my own plants, have projects to save my ideas to. I wish the designers would talk to gardeners and landscapers to perfect this but all in all its a good app. I bought this hoping it would provide me information on plants. Unfortunately it was extremely limited on its plants. Not once did I see one plant that I was looking for in this app's catalog. Not once! I ended up going on line and to find my plants! Hardly worth the $10 for such a useless catalog. Maybe you have to upgrade to get a fuller catalog but if so, that's unacceptable for such an expensive app! Heck, For $20-30 what you pay here you could just go down to the bookstore and buy a regional gardening book and it would be much more informative and with ALL the plants you'd want to look up so why waste money and Disc space for this? I'll definitely be asking for a refund once I get home to my Mac. 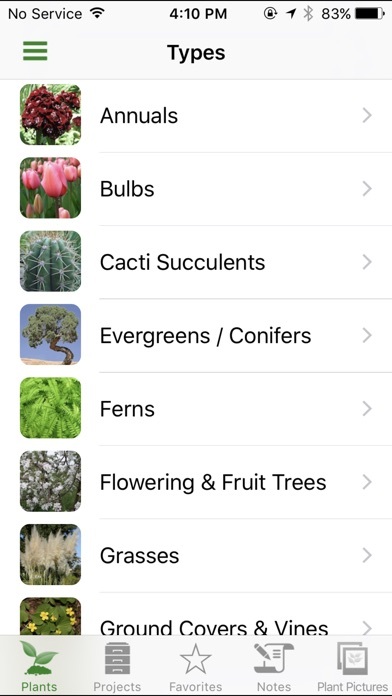 It's unbelievable that the app developer states that there are 26,000 plants listed on the iPhone app spread over 17 categories. I personally tallied the total number of plants listed on this app in less than 10 minutes. Bulbs-22 listings, cacti-1 listing, evergreens-49 listings, ferns-28, flowering trees-9, grass-11, ground over -20, herbs-792, houseplants-2, palms-0, perineal -148, roses-6, shrubs-129, trees-17, vegetable,fruit,berries-10, water plants-1. Also note that while this iPhone app will work on your iPad you will have to pay another $10 to have it fully functional. The only thing green this person is interested in is your money! Love having it with me when visiting gardens or nurseries. I use it all the time. Celebrity Quiz Lite - Do You Know Your Celebrities? Fighter Jets Quiz Lite - Which Airplane is this? Military Bombers Quiz Lite - What Bomber is this? Art Quiz Lite - Which Artist Painted This? Tallest Buildings Quiz Lite - Which Building is this?